"With over 21 years of experience in designing, building and deploying hundreds of websites for clients of all sizes around the country, I will bring a unique creative flair to all of the web projects I work on." Merging his 3D art with his music Steve creates his "Visual Music" compositions to be immersive and relaxing. His exhibit at the Bascom Center for Visual Arts was very well received, and his artwork is available. The great classic songs of the 40's, 50's, and 60's come alive for you. Steve has a fresh and powerful new voice that pulls the listener into every song. Come see him in a live performance and find out why! Steve has been collecting and restoring antique radios from the 1920's and 1930's since 1997. These radios represent the birth of radio and the rapid early evolution of electronics and vacuum tube circuits. Steve spent a LOT of time in the studio working with many well known artists. Ray Charles, Stevie Wonder, Jerry Goldsmith, Herbie Hancock, Joe Sample and more! Take a look at some great photos. Steve has been a working musician since 1974, playing keyboards and singing lead and backup vocals. He has been performing lately as a solo jazz vocalist/pianist in th Cashiers and Highlands areas. Steve has embraced a wide spectrum of styles in his visual music compositions from classical to jazz to rock to experimental. He is a graduate of Berklee College of Music in Boston and majored in arranging. In 2009 Steve started software company MemberSites LLC. As a developer of community-based software solutions, MemberSites provides communities with a no-cost website option. "I have been fortunate to work with many artists and companies in various capacities through the years. Everything from video and audio production, film scoring, website design, photography and more!" Steve has been active in the local community and serves on the board of local civic organizations from time to time. He is a member of the Rotary Club and a Trustee on the Jackson County Library Board. November 16, 2017 - This performance was to benefit the Friends of the Library for the Albert Carlton - Cashiers library. This is a live video taken at the time. At the right: A video of the performance taken by Carl Hyde. May 2016 - Great progress is being made on my company's new advanced technology platform - the new MemberSites V4 project currently under development. After many hours of R&D and iterative development we have completed the major integration challenges encountered with evaluating, selecting and developing using many different cutting-edge web frameworks. To give you a feel we have integrated many leading technologies into our platform - all used to create a very new type of web applications suite. Among these are d3JS for data visualization, NodeJS server, Neo4j, MongoDB, FireBase databases, AngularJS, jQuery and Bootstrap application and CSS frameworks, responsive HTML5 designs, thin server design, and restful applications - all designed to massively scale by using cloud-based virtual servers. Sounds like a lot and it is! We are totally jazzed about our development plans for the next few months. We will keep you posted on our release date! 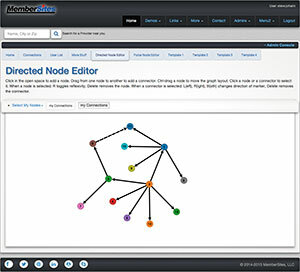 At the right: A look at one of our data visualization screens - The Directed Node Editor. July 2014 - This community website continues to appear at the #1 top slot in organic search ranking for all three major search engines since the website's launch. With over 531 local businesses listed this site averages over 200,000 unique visitors each year and continues to grow year after year. The local community calendar is displayed on cashiersnorthcarolina.org and cashierstoday.com. Steve created and maintains cashiersnorthcarolina.org, the Cashiers Community Website, as a free community service. Can I Build A Website For You? Are you tired of looking at those free cookie-cutter website templates or those wordpress blog sites? Do you want a fresh and custom design for your website that is your own and focused in on your clients and customers? With hundreds of deployed websites around the country I have the experience and creative skills to make your website exceptional! Contact me to discuss your design project. I will be happy to review your needs and make recommendations. June 2014 - MemberSites is currently developing the next-gen community and membership software platform. This will feature the MemberSite users and admins utilizing a whole new scalable platform designed to serve millions of users. Using an entirely new technology stack we are using the latest in thin-server configurations, post-SQL databases and technologies from Firebase and AngularJS. Expect big things! Take a Look at These Website Designs!! There's a lot going on this year. I have been doing a lot of web design for different clients around the country. Because I am getting great word-of-mouth referrals from prior clients the projects are popping up everywhere! I have been reworking many of my client websites recently. I have begun to convert their sites over to the new mobile design frameworks one by one so they can take advantage of all of the new CSS3/HTML5 responsive features available. Take a closer look at some of my latest projects! Can I build a site for you? 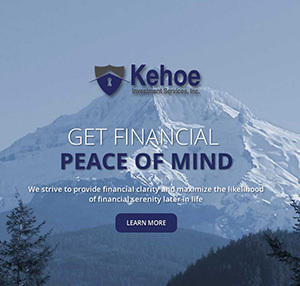 June 2014 - This Gresham, Oregon investment firm was looking to upgrade their website to be more attractive and mobile-friendly. The old HTML design was looking dated so they contacted Steve for a re-design. The new site is built around the "Bootstrap" mobile framework and is totally responsive. They and their clients are extremely happy with their new site! 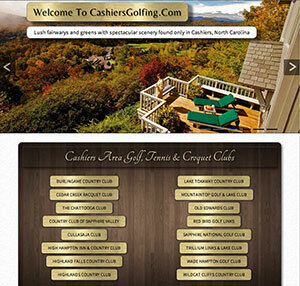 April 2014 - Covering the golf, tennis and croquet communities of Cashiers, Highlands, Sapphire and Toxaway this mobile-ready responsive site was designed to attract and inform visitors to the Cashiers, North Carolina area and to drive web traffic to the CashiersNorthCarolina.com community website. Also, there was no single resource for finding out about the golf communities in our area that was all-inclusive. Now visitors can view extensive information on each golf, tennis and croquet club in the area. A slideshow for each club is provided. Links to club websites, Google map, contact information, course descriptions with yardage and par, and golf pro information are provided. Additional activities are listed if available. 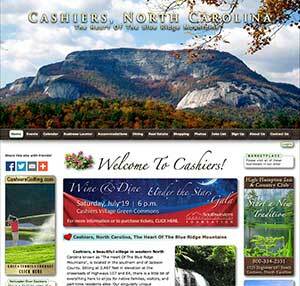 April 2014 - The primary domain for the community of Cashiers, North Carolina will now be part of the growing list of web properties focusing on the Cashiers area. Currently pointing to the community website cashiersnorthcarolina.org, this website will come into it's own very soon! March 2014 - The Antique Wireless Association had their annual convention on March 20-22. Steve performed at their banquet on Friday night March 21st. As an antique radio collector and restorer himself, he had a lot in common with the crowd! 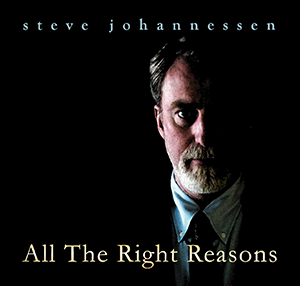 Steve releases his latest CD titled "All The Right Reasons"
September 2013 - Recorded in Nashville, Tennessee this CD is filled with great love songs. Featuring big band and full orchestra backing him up, Steve's first vocal CD is a fantastic listen that will get your feet tapping! August 2013 - After receiving a great initial responce to his performances in local clubs Steve decided to put up a website to promote his ongoing engagements. hear example music, check his schedule and song list of classics from the 1930's thru the 1960's. SongHammer is The Essential iPad App for Musicians, Performers and Songwriters. Now better than ever, SongHammer is the tool for you! Steve has been using this App for his performances with great results. This iPad app was designed by Steve and his brother Mark as a performance and songwriting tool. Visit the website to learn more. "From My Imagination To Yours" - Visit the MiddleOfNowhere.com website to see all kinds of digital 3D art and music all created by Steve. 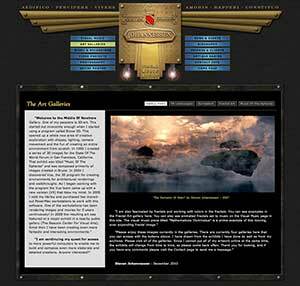 The site has new art and music added regularly. Says Steve - "2016 has been a better than ever year for performing! With so many gigs scheduled I think I might be getting to the point where I need an agent!" Steve is frequently performing in the Cashiers and Highlands area and throughout the southeast. 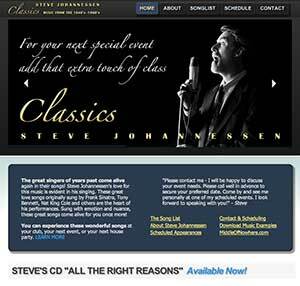 Steve has received glowing reviews from all of the events at which he has performed. Nearly every Friday and Saturday night in this season is booked in local clubs, private parties and country club events. Visit the Classics Website for more information. This is a fun wordcloud created using data visualization and drawn from text on my bio page. 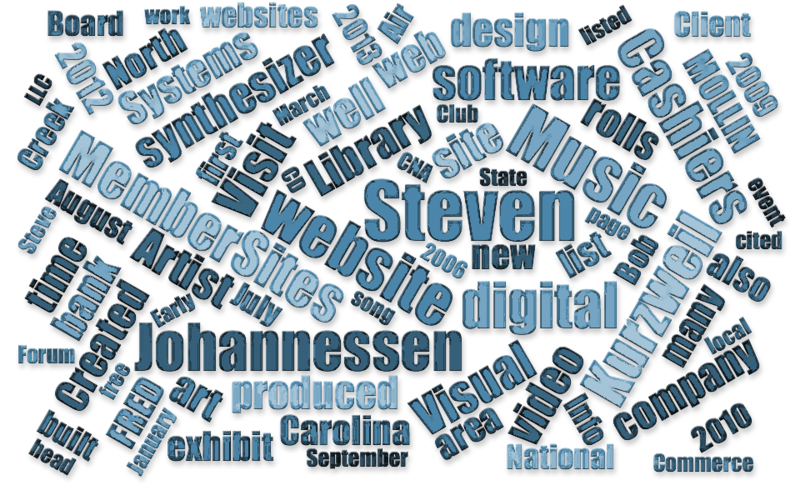 Word cloud generator from d3js.org.